The soak test is mostly for the beta testers who want to run the latest official firmware update from Google or the manufacturer. Following some Motorola devices that received similar soak test last month, here are the Indian and Brazilian variants receiving the Marshmallow update. 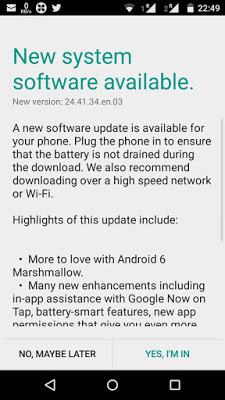 The update will get your Moto G 2 nd Generation device to firmware version 24.41.34.en.03 based on the Android 6.0 Marshmallow. The update team will test the stability of the firmware by collecting anonymous data reported back to them. So within a week, the stock ROM will debug and a stable release will be initiated for all the Moto G devices across the globe. However, only a lucky few will receive this update. So if you already have the update notification, then you can start with the installation. 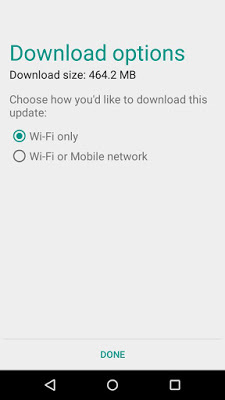 Before you download or apply the update, you can get the OTA update URL and share it with others. Once you have the OTA URL link, you are all set to download and apply the update manually. The Marshmallow update brings lots of features to the Android OS like the App Standby, App permissions, Do not disturb, App links and much more. You can get all the information from the Motorola’s official page.